Posted on February 9, 2019, in Uncategorized, WWII and tagged History, Military, Military History, POWs, Revolutionary War, U.S. Flag, WW2, WWII. Bookmark the permalink. 48 Comments. Excellent piece of history and thankfully for future generations its history is preserved. Good to be back from sick leave and browsing my old friends posts, see you have maintained your standards gp, cheers. Thank you, Ian, your opinion means a lot to me. Thrilled to know you are back with us and feeling chipper. I know your poetry maintained it’s standards as well. Thank you, Anna, for taking the time to read it today. Great post, GP. Thanks for sharing. Look for a post on equipsblog tomorrow about flags from Mare Island, CA. I will. A lot of history there! Thanks. I didn’t even know that Mare island did flags. We had quite a bit of rain for 2 days last week, but nothing today. They say we’re in a partial drought, but I don’t see anyone’s grass getting brown or plants wilting. We have had an excellent winter (but personally, I’d like to see it cooler.). What an inspiring story! Thanks so much for sharing, GP. The Vet Collector has many such posts. I hope many of my readers will follow him. What a wonderful story! Thank you for sharing this, GP! And now I’m thinking about how we don’t see the respect shown that our flag, National Anthem, Pledge of Allegiance, etc, all deserve. Today is a sad situation, actually it offends me. A bedsheet and some colored pencils. Sometimes, it doesn’t take much more than creativity and commitment. Exactly. I wish we saw more positive actions these days. I deeply appreciate and love our flag, and all it stands for. So many stories… great post, GP. I know you do, Jennie, I never doubted that. And I truly appreciate you instilling high standards in your students. Thank you for sharing this story with your readers. I was overwhelmed to have conversation with the family and the Naval History and Heritage Command regarding the flag. How beautiful and meaningful our flag is ESPECIALLY when you are held captive, deprived of basic necessities by and enemy who thinks more highly of animals than a captive foe. It blows my mind how Americans are offended at the site of their nation’s flag today with many schools throughout the country removing the stars and stripes all together so as not to offend. That is offensive. 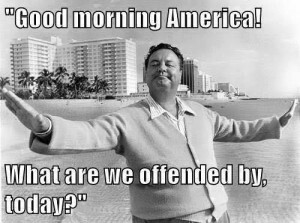 Yes, I am also being offended by the some of the actions of so-called Americans. I was proud to have your article here. Great story and amazing to learn the flag still exists. That’s what comes from honoring history and the ancestors who made it!! Fascinating post and I was really interested how they created the flag in such conditions. It’s the old “where there’s a will, there’s a way”. Great read, Thankyou. The more I learn, the more I am beginning to believe that generation could have come up with just about anything!! What a wonderful story! it’s very commendable for the family to locate the flag and share its history. I wish more people will show respect for our flag. You and me both, Rose. People are too into themselves these days to realize what it all stands for. Do you know they even do not show the flag raising on the moon at a new movie about the moon landing? I read that recently. They are afraid someone will be offended. Crazy world we live in! Now I hear the Chinese New Year of the Pig is an affront to the Muslims! What will be their reaction to Lechon, a roast suckling pig, the favorite food of the Filipinos? Every day, some crazy and stupid ideas are popping up. Now we are going back to the Flintstone age with the Green New Deal. Aaaaaargh. I can go on forever so I better stop. I’m working on my next blog. See you in the morning. This doesn’t surprise me in the slightest. Hollywood is lost. During WWII, many of the great actors and directors couldn’t wait to get into uniform and to serve. Today, they celebrate our enemies and often portray veterans as pathetic, murderous crazies. Such a great story! Grateful for that daughter’s persistence. Inspiring stuff, GP. Even in this world of modern ‘electronic’ warfare, it can still come down to a few brave men following a flag into action. You must be feeling better, eh Pete? Great article, isn’t it? I forgot what a student of our history you are! Thanks for dropping in. That’s right, get extra rest.